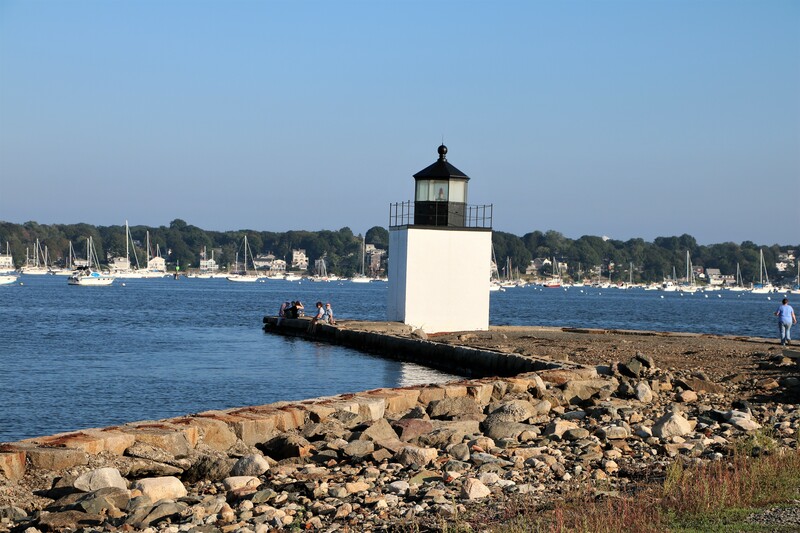 Our time in Massachusetts was actually broken up in bits as we meandered back and forth between It, Maine and New Hampshire. I know the title of this post says “September” but we actually landed in Salisbury at the end of August, left the motor home at the Pines Camping Area and flew home for a week to attend a family wedding. Although in total we spent less than 24 hours at that particular RV park, I will say that we had a large lovely spot – but getting to it through the initial gate and narrow heavily treed roads was rough. There were many permanent trailers there which looked like they were close to falling apart. Because our site was reserved for Labor Day Weekend, we had to vacate it upon our return from being home. 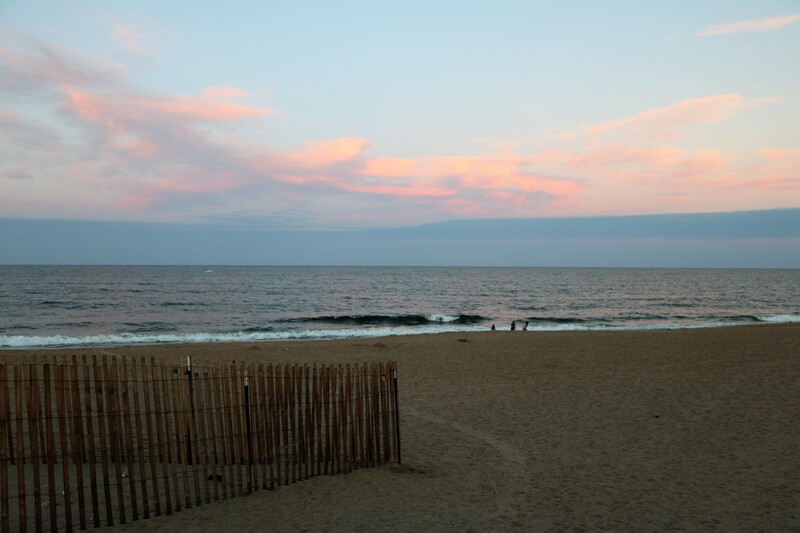 We moved just down the road to Beach Rose RV Park. Besides being very close to the little town of Salisbury and its beach, it was setup for large rigs like ours. It was a miracle we were able to make a reservation for Labor Day Weekend, because it’s a small park. We enjoyed our nice roomy site and we would stay there again. Since we were still recovering from a big week of family fun, we spent our first day vegging out at the beach. We had a couple of parking options for the jeep while we enjoyed the beach. 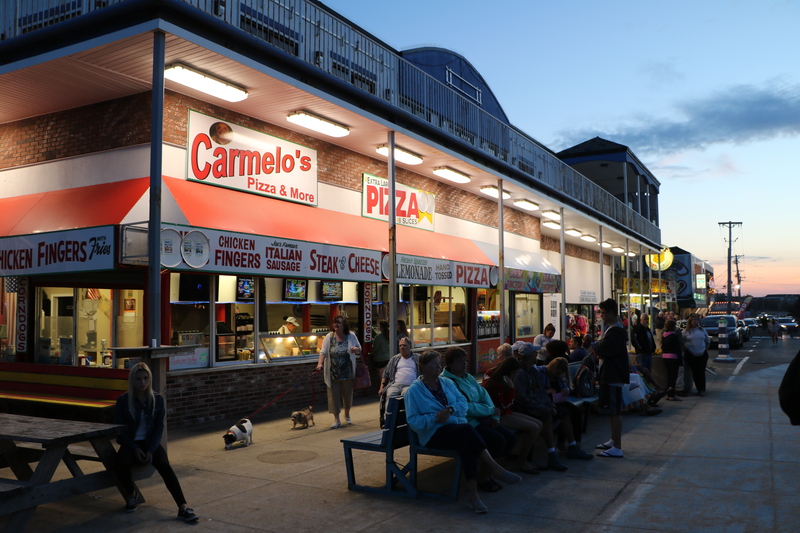 People can either go into Salisbury Beach State Reservation and park in a large lot with restroom facilities or go into the town and get a metered parking place. We opted for the park and were pleasantly surprised that the usual fee of $16 for nonresidents was suspended for that day. Apparently this is something that they randomly do. We also discovered that they had camping sites for RVs. 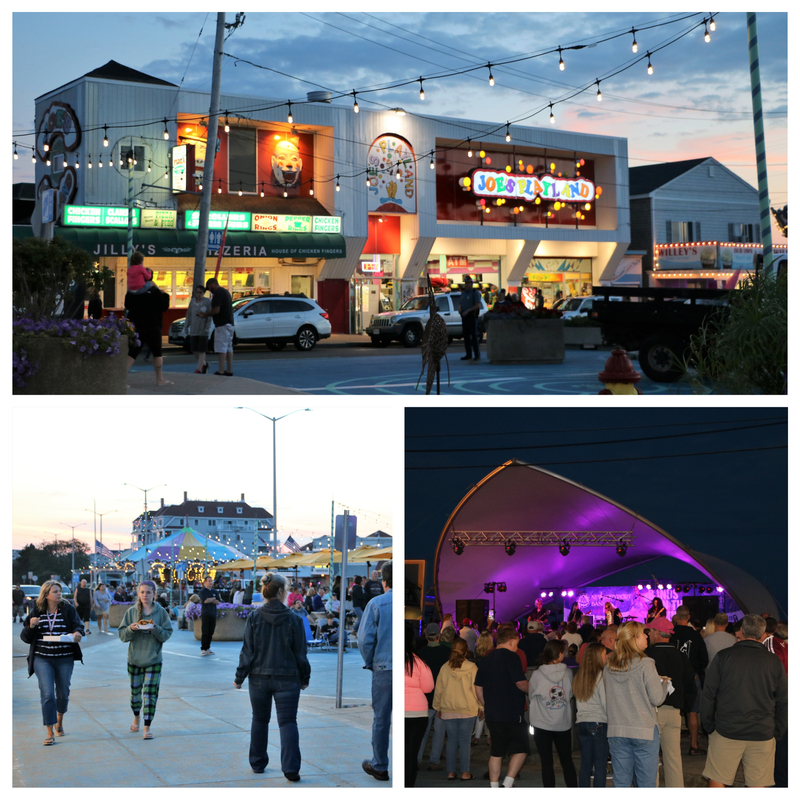 Later in the weekend, we went to the town part of the beach and got a metered parking spot. 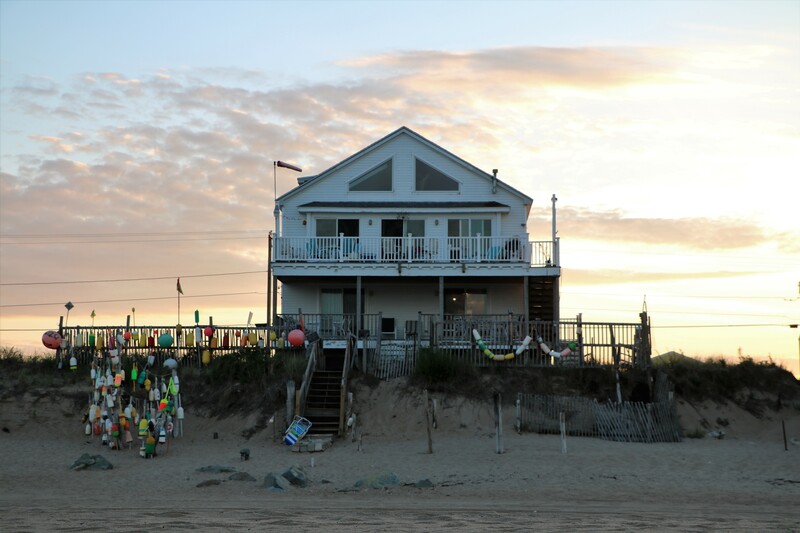 It’s definitely a resort town, and we saw plenty of vacation rentals along the beach. There was a different feel to the atmosphere than the one we are used to at our little cottage in upper Michigan. It had sort of an arcade vibe. Later I read that during the first half of the 1900’s, it had several amusement parks and roller coasters. Now days its full of pizza joints and every Saturday night during the summer season, Salisbury has a live band which plays under a little clam shell stage. Quaint Newburyport was literally a couple miles away from our campground. 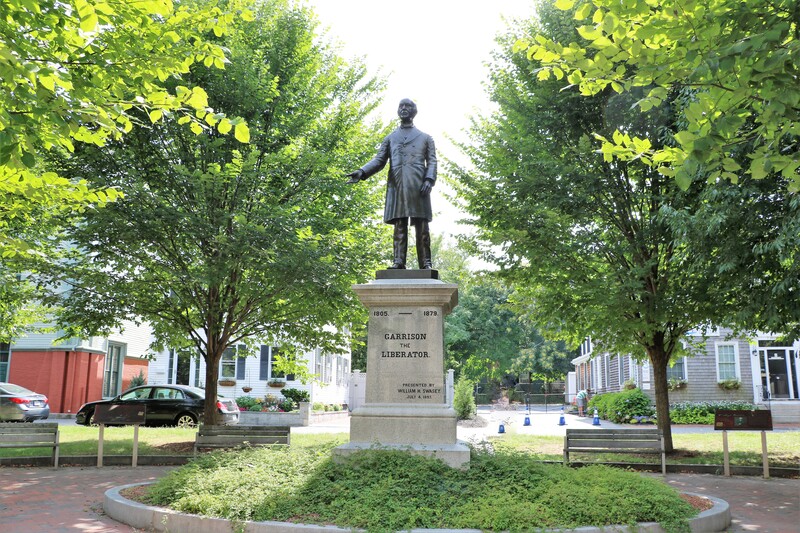 Abolitionist William Lloyd Garrison was one of Newburyport’s most famous citizens. Waterfront Park is a lovely green space that goes down to the waterfront boardwalk. 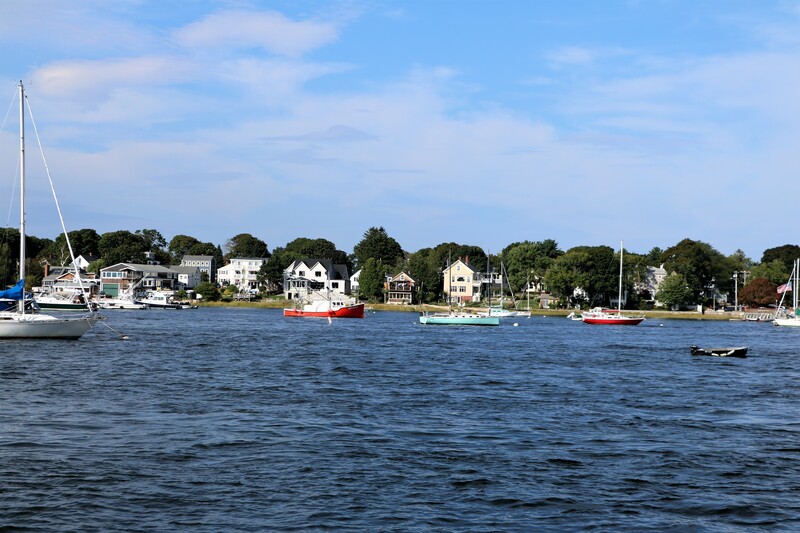 The boardwalk runs along the waterfront of the Merrimack River which was loaded with boats of all kinds. 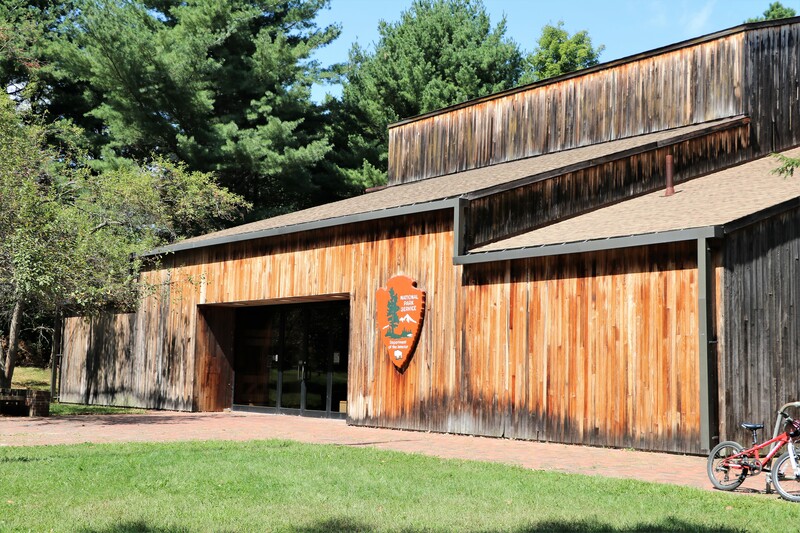 Minute Man National Historic Park is only 45 minutes away from Salisbury. 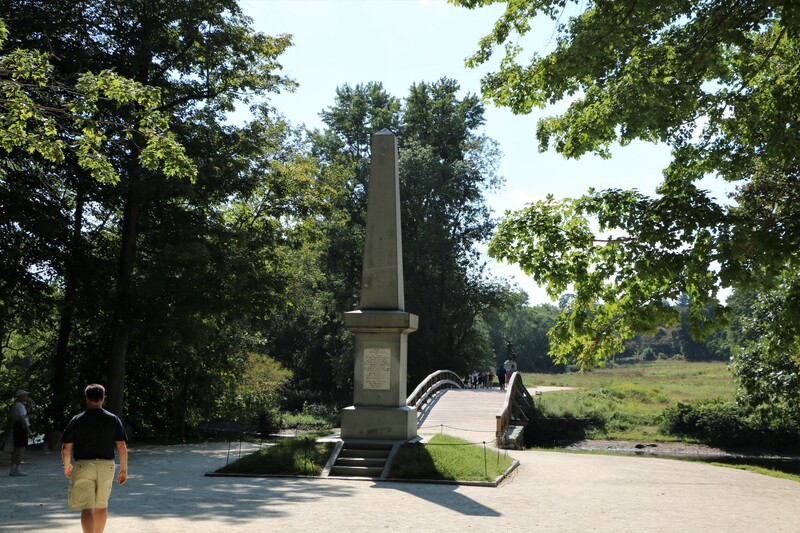 It spans the area between Lexington and Concord where the first shots of the Revolutionary War were fired. We began our visit to the park at the Minute Man Visitor’s Center where we watched a film that gave an overview of the famous skirmishes. Along Battlefield Road, the route the British took from Lexington to Concord, there were several historic houses. 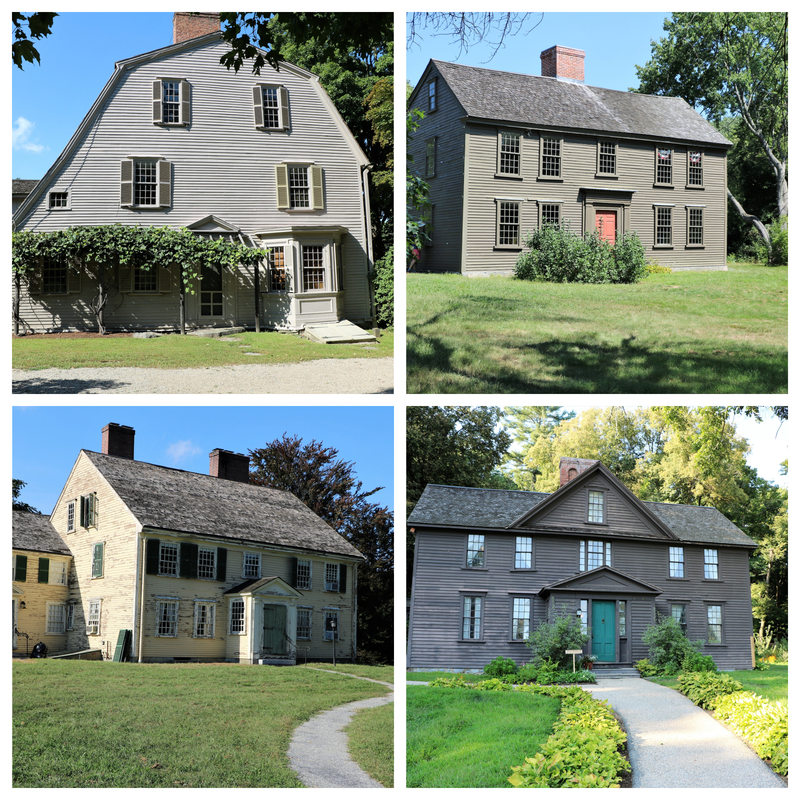 Going clockwise from the top right: Jacob Whittemore House built in 1717; Orchard House where Louisa May Alcott wrote the book Little Women; Major John Buttrick House built in 1715 and owned by the man who gave the order to fire on the British at the North Bridge; The Old Manse built in 1770 and lived in by both Ralph Waldo Emerson and Nathaniel Hawthorne. 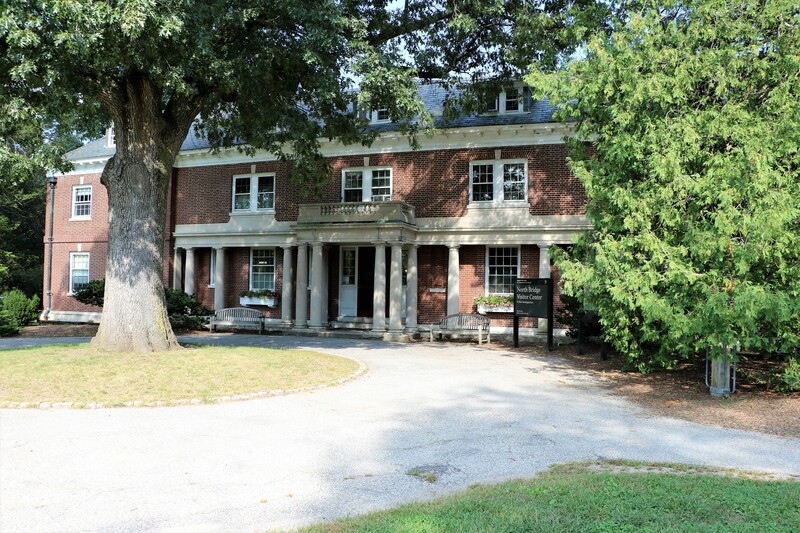 The North Bridge Visitor’s Center is housed in a mansion once lived in by descendants of John Butterick. The restored North Bridge and monument is a short walk from the Visitors Center. There we heard an interesting Ranger Talk on “the shot that was heard around the world”. 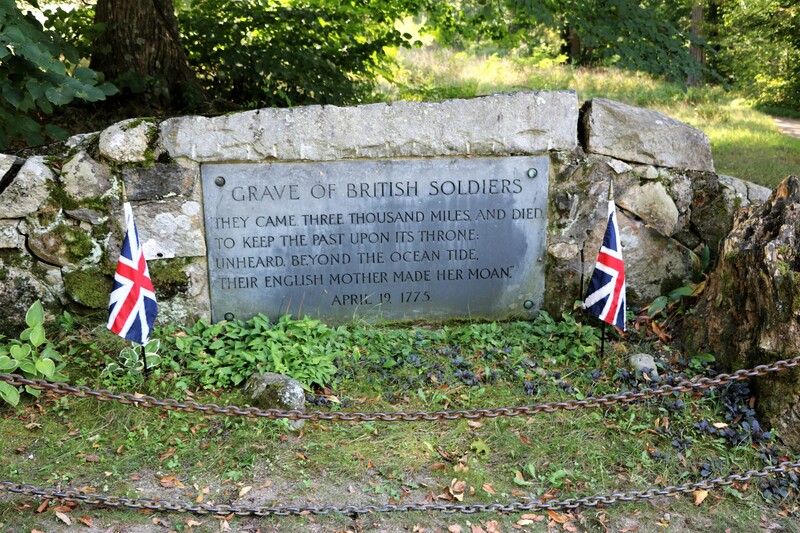 Close by the monument is a grave for the fallen British soldiers. 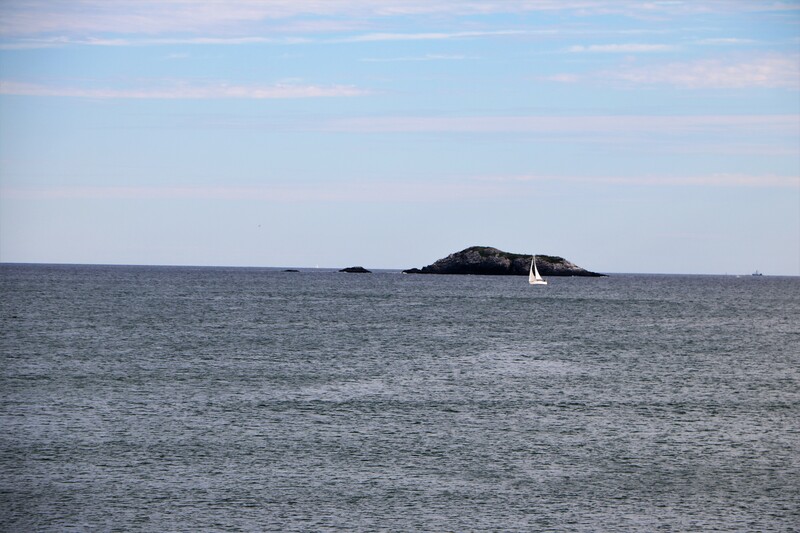 Later on in the month of September – after we had spent some time in Maine – we stayed at Canoe River Campground in Mansfield. We did have a roomy site in an area of the park that was big rig friendly, but once again, driving on the narrow road to the site was a bit challenging. 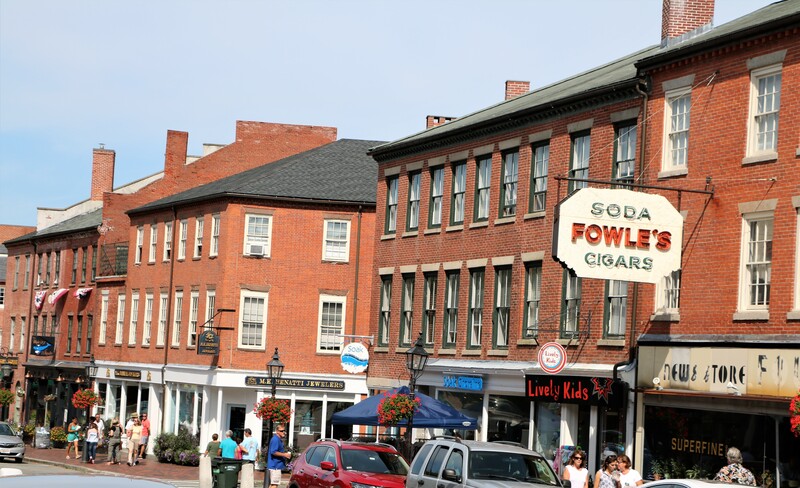 While we were staying in Mansfield we took a day trip to Salem , the town that is famous for the 1692 witch trials. 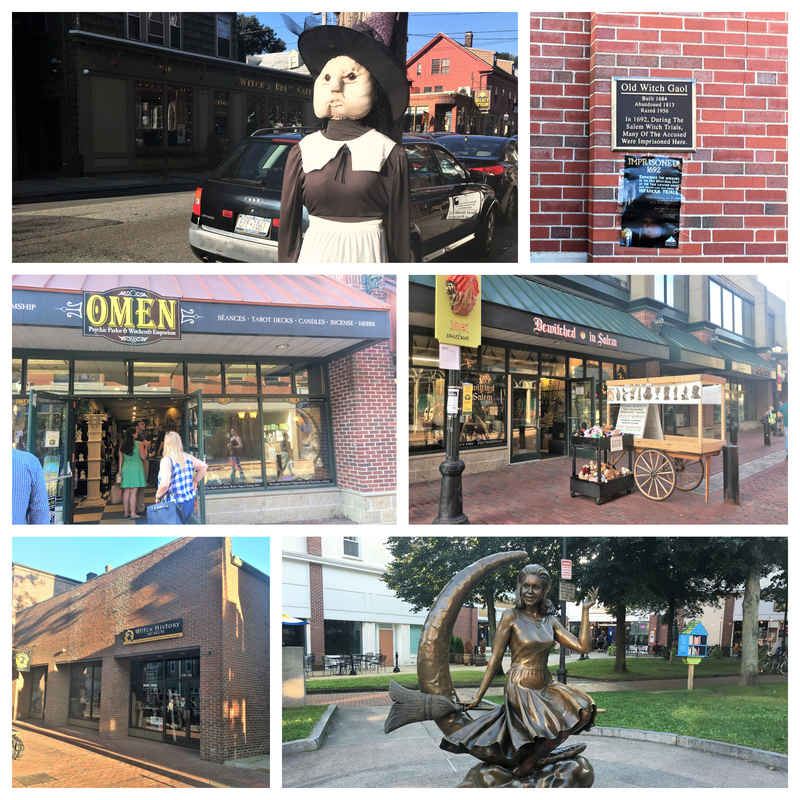 They do play up the witch theme; there are plenty of shops and museums dedicated to witchcraft on the pedestrian mall as well as a statue honoring the TV show Bewitched. But there are other things to view in town and we frankly ran out of time before the Salem Witch Museum and the Salem Witch House. 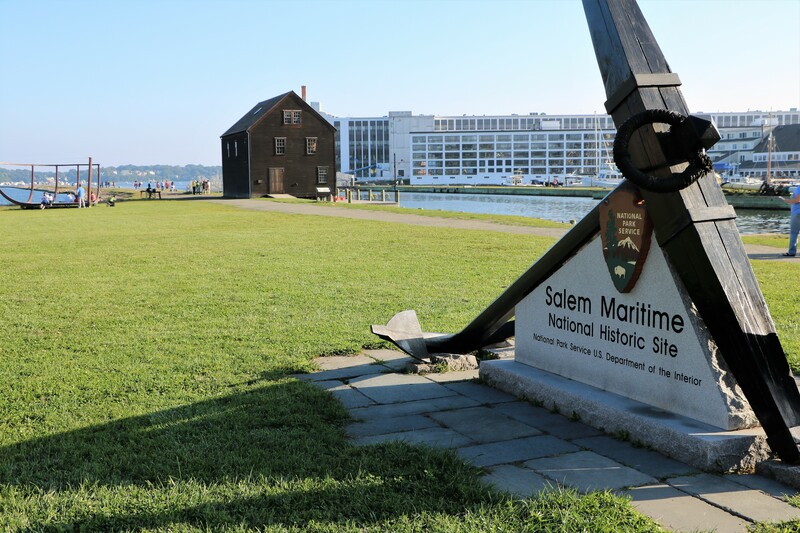 During colonial times, Salem was a huge port for trade ships coming and going from all over the world. At the end of a still standing wharf is the Derby Light Station which was original powered by an oil lamp. The Custom House is part of the Maritime Site. 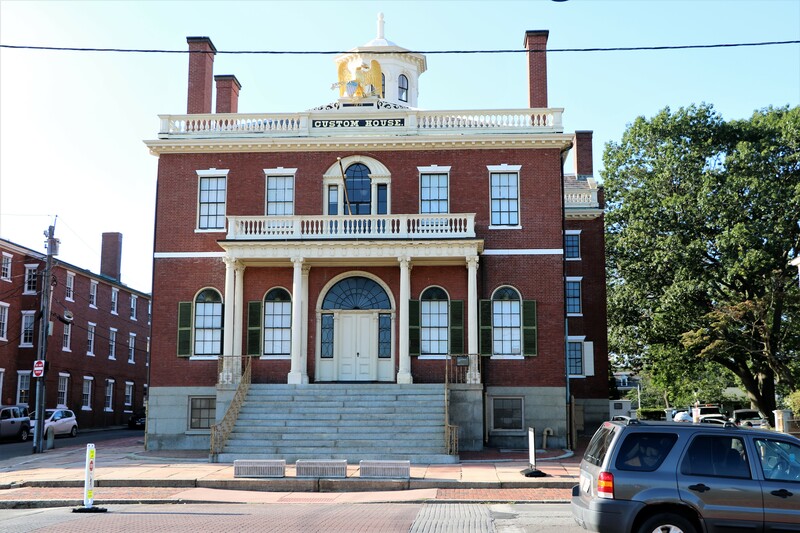 Now a museum, it was the sixth custom house to be built in Salem. The first was built in 1649 and this one was built in 1819. Nathaniel Hawthorne worked and had an office there for three years. I don’t know what went on, but apparently the time he spent there gave him the idea to write the novel The Scarlet Letter. 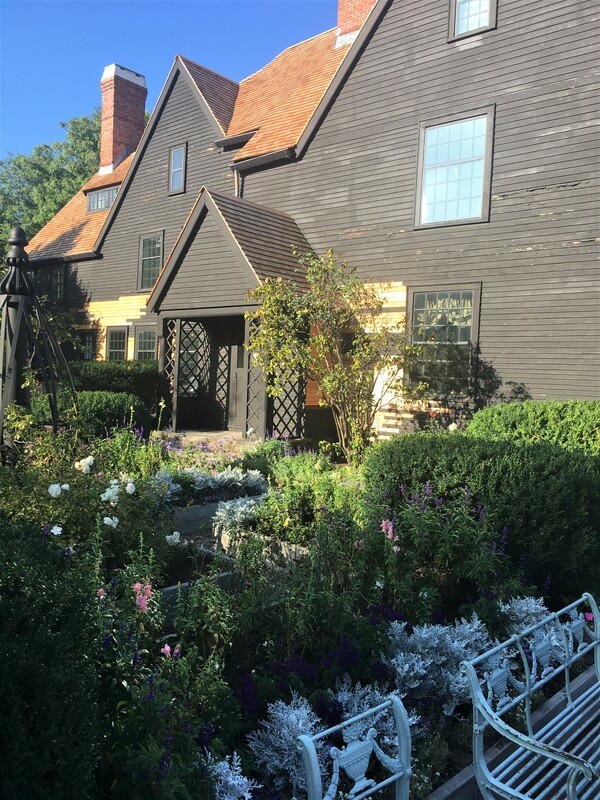 In fact, we visited the House of the Seven Gables Museum which inspired Hawthorne to write the famous novel with that title. 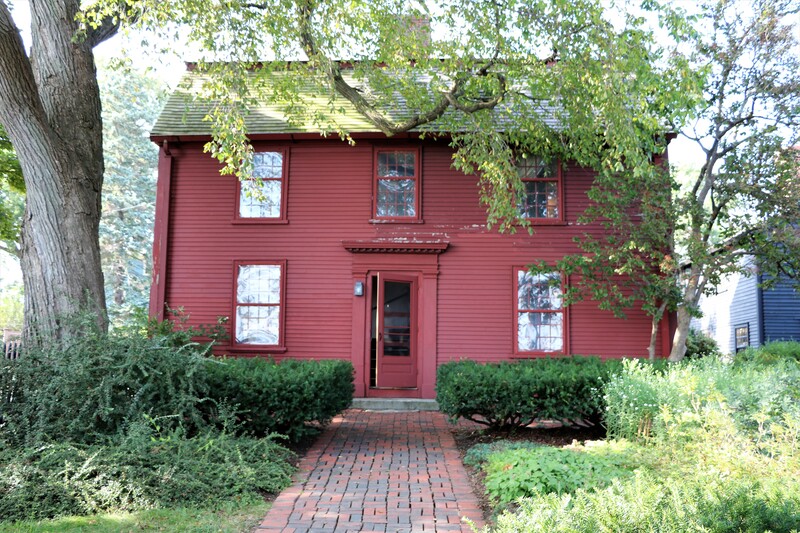 It was once owned by a family friend of Hawthorne’s but years later was purchased by Salem philanthropist, Caroline Emmerton. She restored it and gave tours, also using it as a settlement house that ran programs for immigrants. 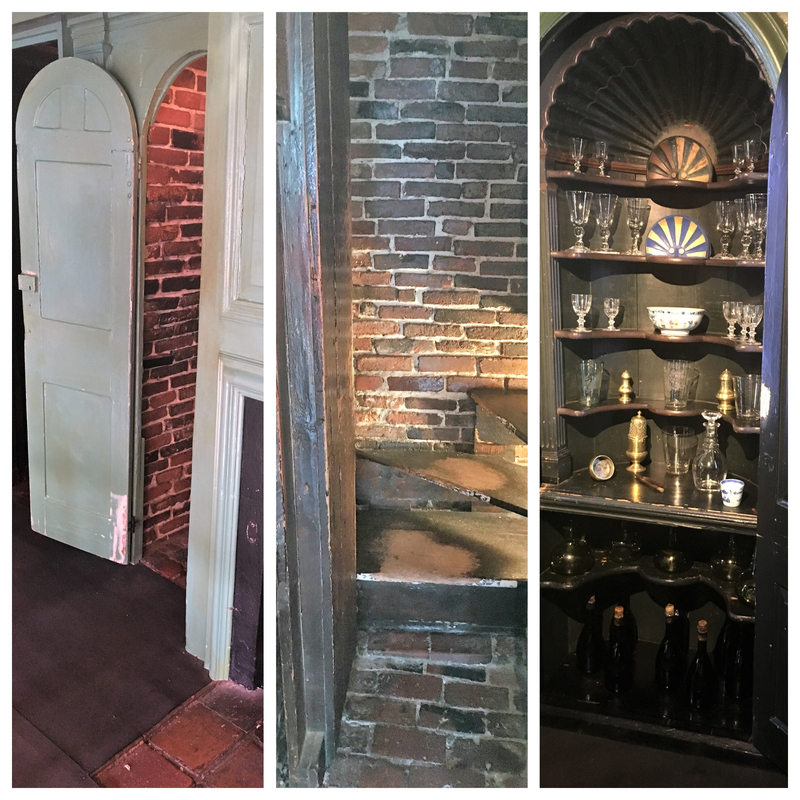 Emmerton renovated the house so it included features that were written about in the novel, such as a secret staircase. Over the years, the museum moved several historic properties to the grounds, including the house in which Hawthorne was born. 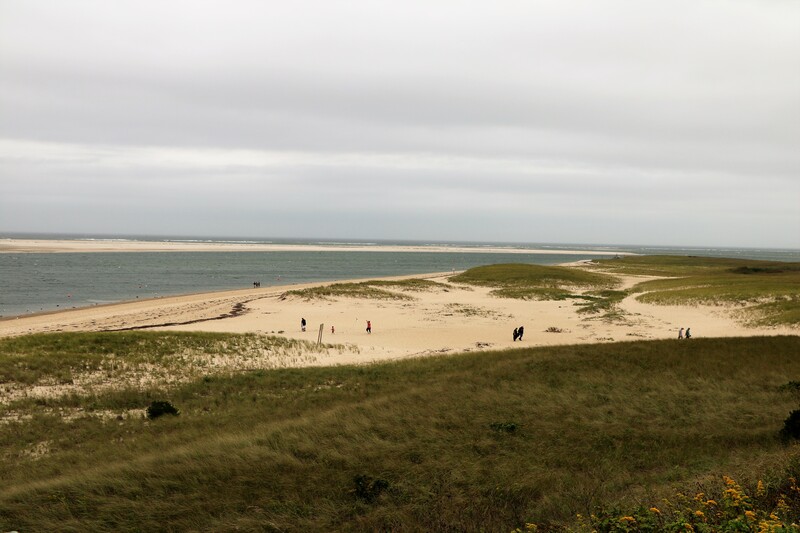 Probably the highlight of our time in Massachusetts was exploring Cape Cod. 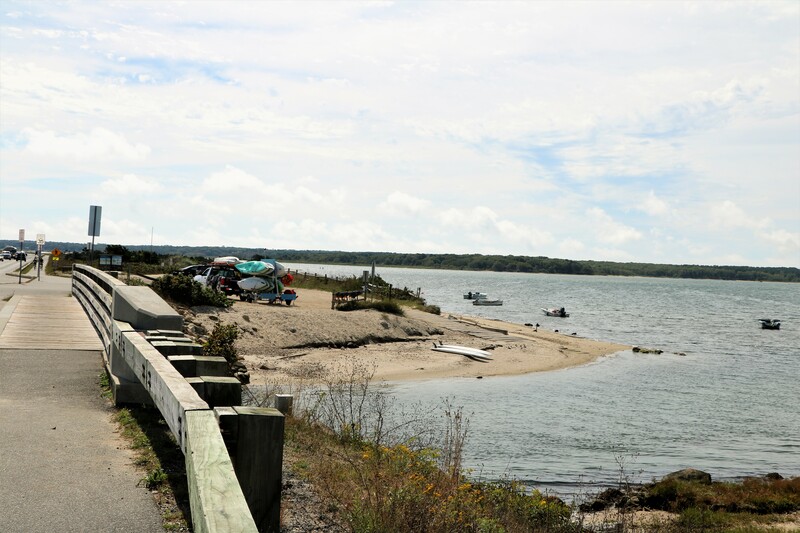 We stayed the Bay View Campground in Bourne. 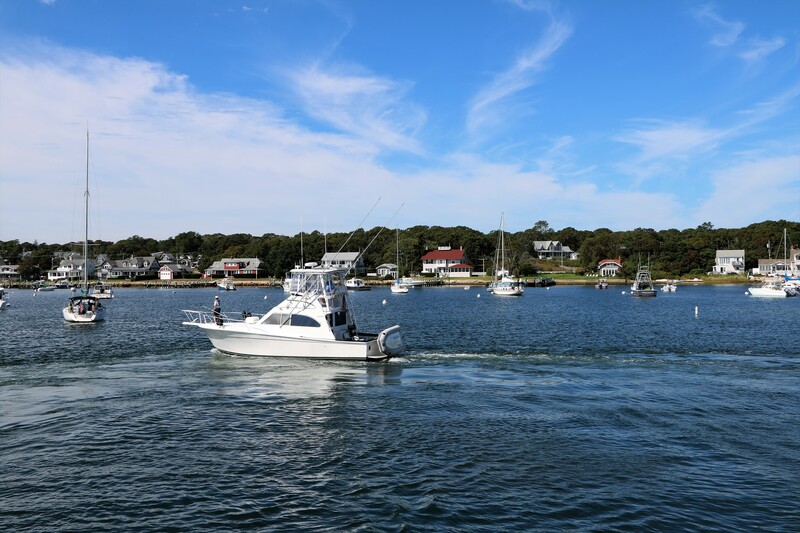 Our Florida friends Doris and Bob have a summer place in Osterville and they showed us the sights. According to the weather reports, the first full day we were there was going to be the nicest. 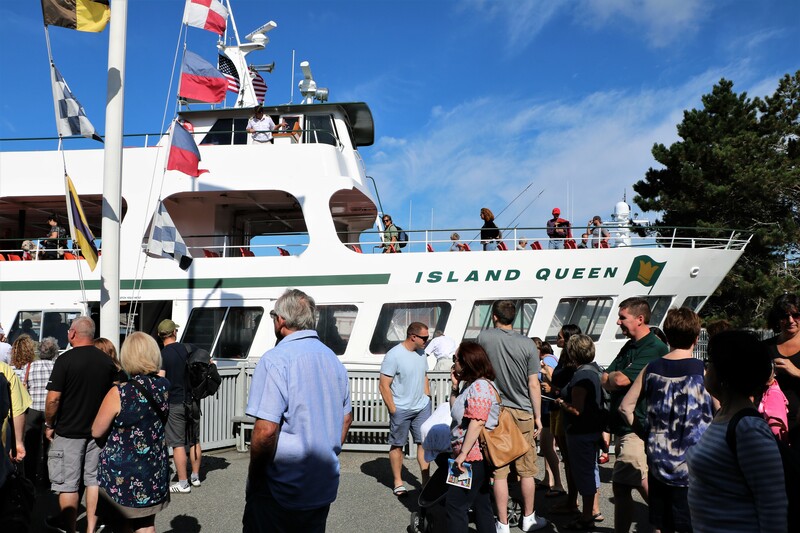 So we took the Island Queen Ferry Boat to Martha’s Vineyard. As soon as we got off the boat, we rented bikes at the very friendly and family owned Anderson’s Bike Rental and off we went. 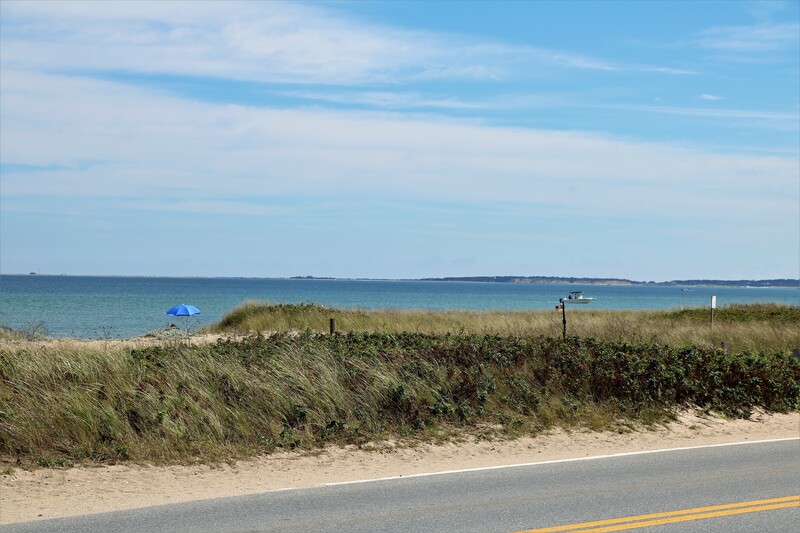 The first place we rode by was the Martha’s Vineyard Camp Meeting Association. 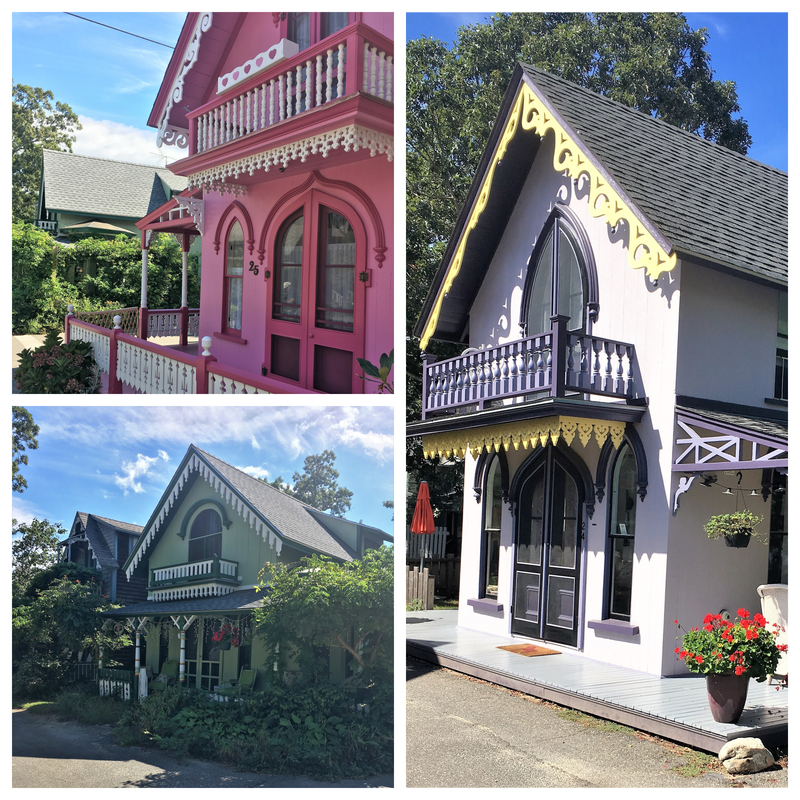 This enclave of colorful gingerbread cottages is a big contrast to all the rest of the gray shingled and white fenced buildings on the island. Where each cottage stands there used to be a tent as part of the early 1800’s Wesleyan Church campground. Families eventually owned the tents and later erected the charming little houses. Today the neighborhood has no religious ties and the properties are passed to down from generation to generation. I’m not sure how far we rode that day – I think Doris said 18 miles – but the bike/walking path was top notch. The views along the way were beautiful and there were several places where we could stop for a few minutes for a water break. 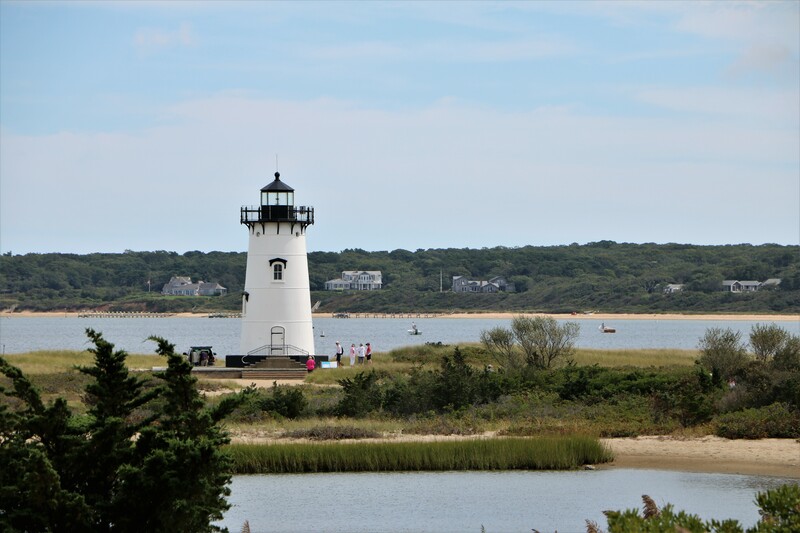 We pedaled past Edgartown Harbor and saw one of the five lighthouses that are on Martha’s Vineyard. 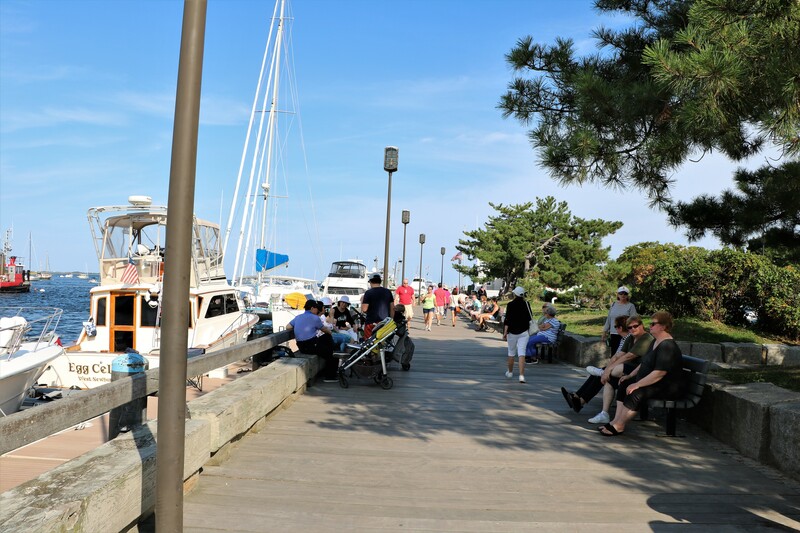 We finished our bike ride at Oak Bluffs Marina where the ferry goes in and out from. Before we got on the boat for the return trip, we ate a Lookout Tavern I’m mentioning it because I had the most wonderful lobster bisque there! In fact, everything we ate there was great – a pleasant surprise because I thought it would be just average touristy bar type food. The weather the next day was gray and rainy, so Bob took us on a “wind shield” tour. 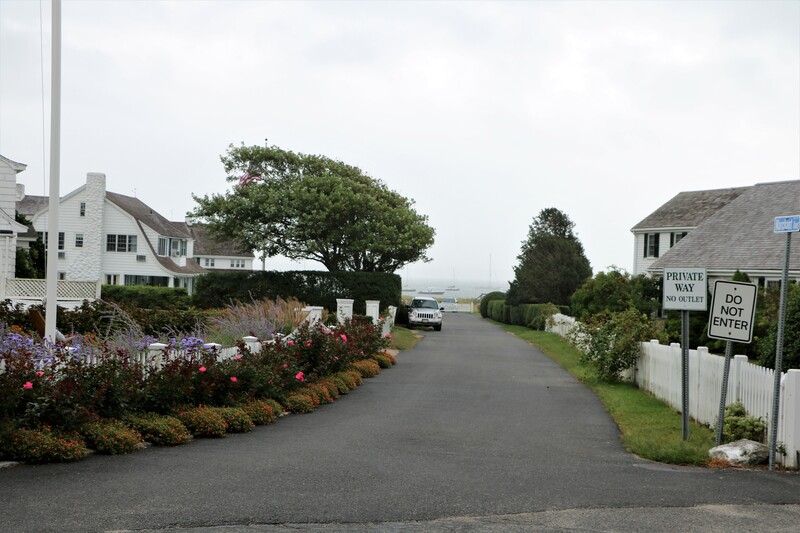 This is as close as we got to the Kennedy Compound in Hyannis Port. The three houses were big, but not as grand as I expected. They sit on six acres total and apparently there is quite a lot of shore line on the property. I’m pretty sure that car sitting in the lane must be a security guard. 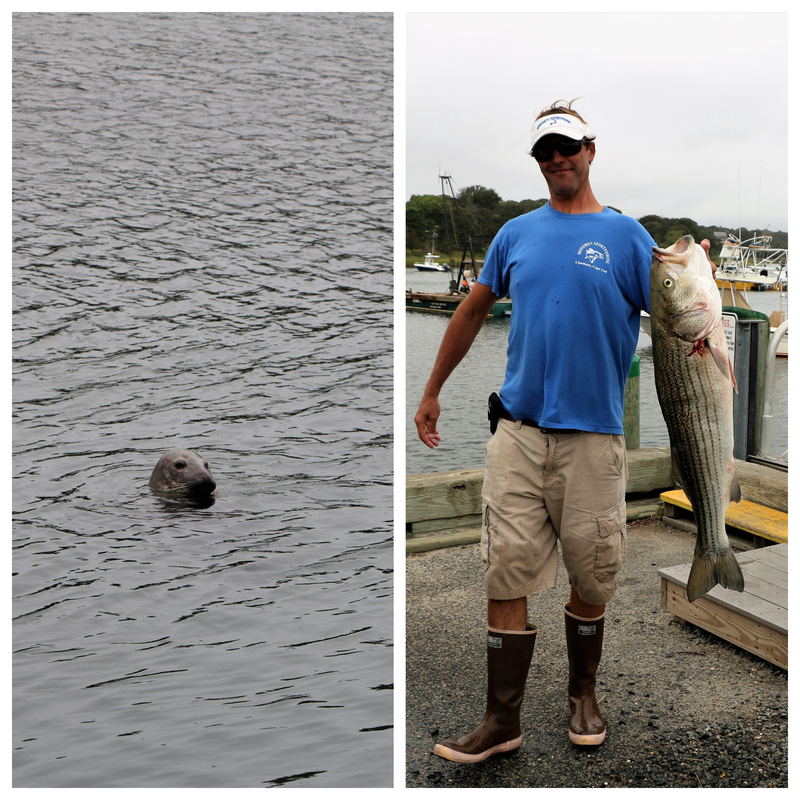 We drove into Ryder’s Cove Boat Yard in North Chatham and chatted with the fisherman. There were several seals swimming right up to the docks; I was struck by how much they resembled a dog when only their heads were above water. They bark just like a dog as well. The fisherman were saying that there are now multitudes of them around and since they are a food source, the shark population has increased as well. 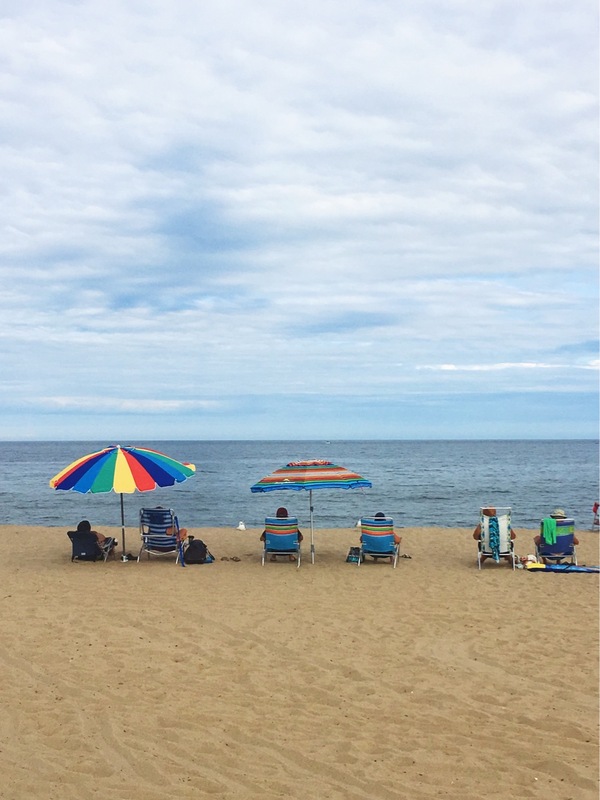 Humans should avoid swimming near seals since sharks might mistake them for one – this summer in Cape Cod, a two swimmers was attacked by a sharks and one of the attacks was fatal. 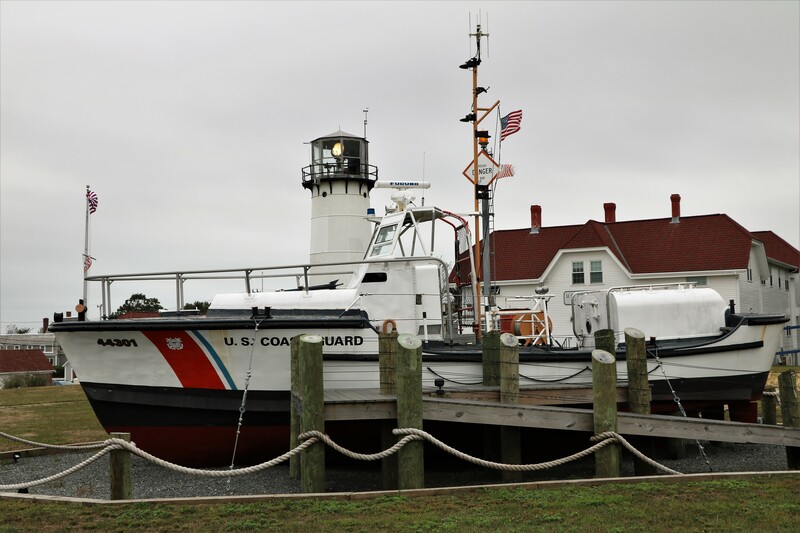 Next on our “wind shield” tour was the Chatham Coast Guard Station where the Chatham Lighthouse is located. On display was the lifeboat that was used in rescuing 32 men off a disabled tanker in 1952. 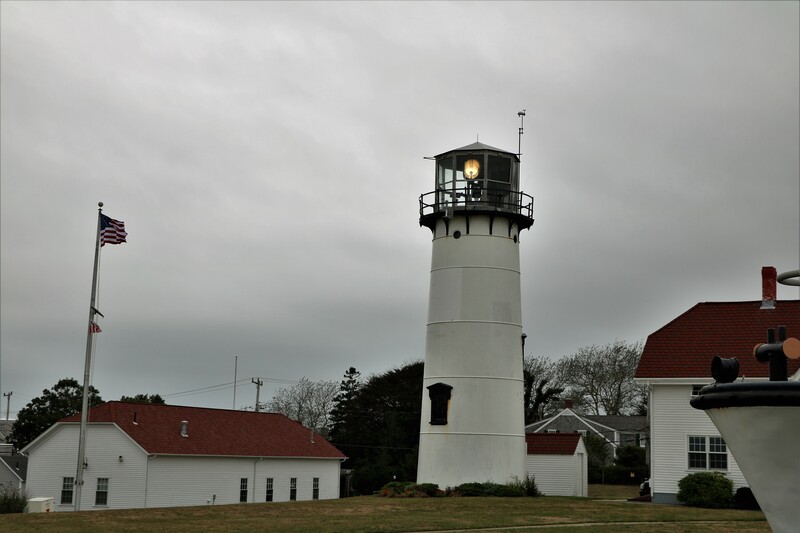 It was the subject of the 2016 movie The Finest Hours. Across from the Coast Guard Station was a beautiful beach, but it’s said that the waters have an undertow plus the seals like to hang out there which means there are sharks close by. The weather the next day didn’t improve – it was overcast and misty – but we decided to ignore it and go clamming. Bob and Doris belong to the Wianno Yacht Club where they keep their kayak. 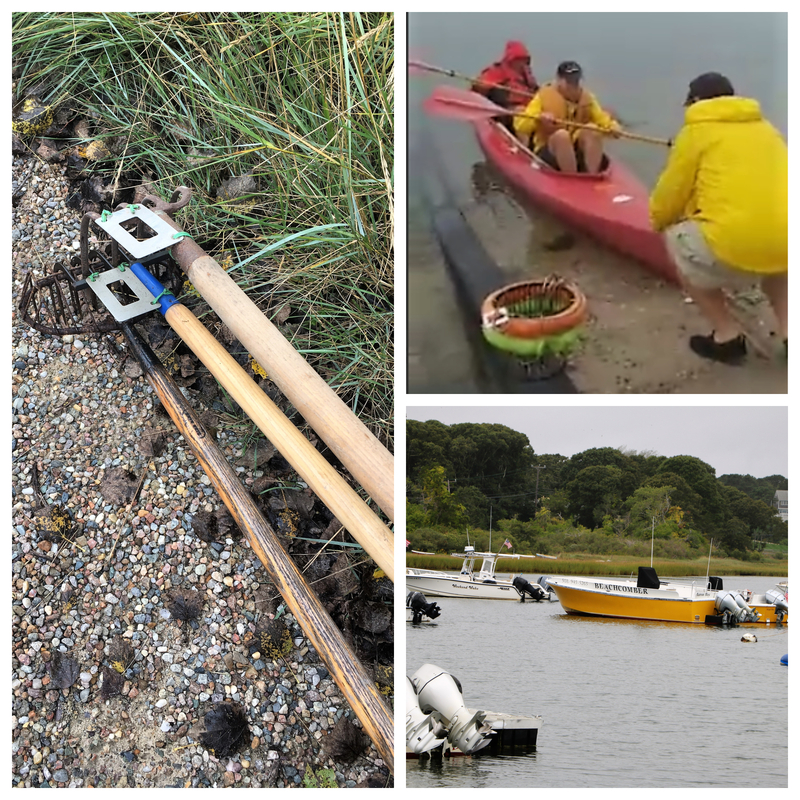 We loaded the clamming bucket along with the rakes and paddled over to their favorite clamming spot. I loved it! The water was surprisingly warm and we had a great time scooping up the clams and making sure they were big enough to keep by checking their size against the slot of the square metal disk tied on to the rake. We took the clams back to the motor home and cooked them up! Yum! After Cape Cod, we returned back to the mainland and stayed at Circle CG Farms Campground in Bellingham. We had seen so many colonial style buildings up to that point, so it was a bit jarring to be in the middle of a western themed RV park. It seemed to be a nice park, although the gated entrance was a bit tight to get through. The sites for rigs are size were at the front of the park, there wasn’t any way we would have been able to drive back past there. 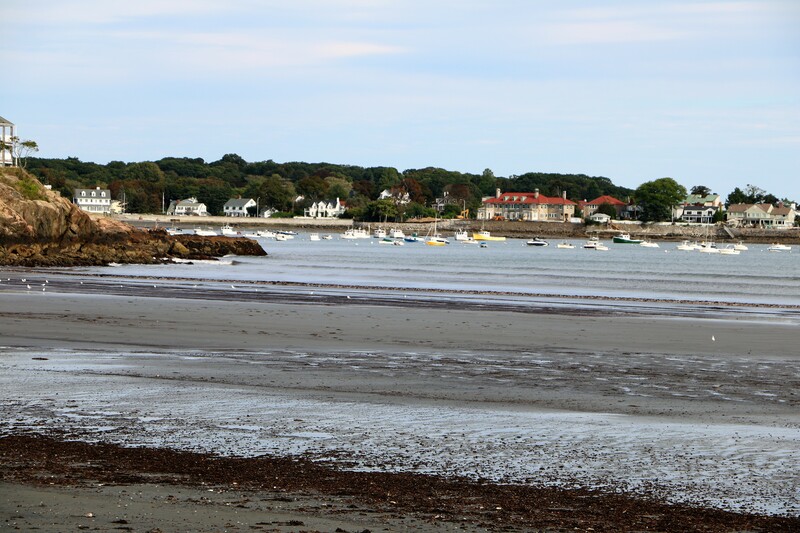 We took a day trip to see Lynn and Swampscott. 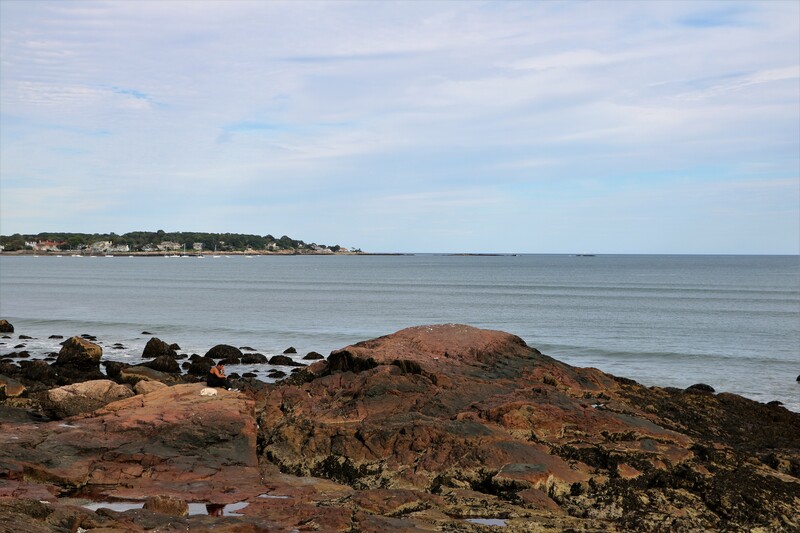 The two towns literally touch each other. We strolled along the walkway of Red Rock Park. We could see the tide going out. 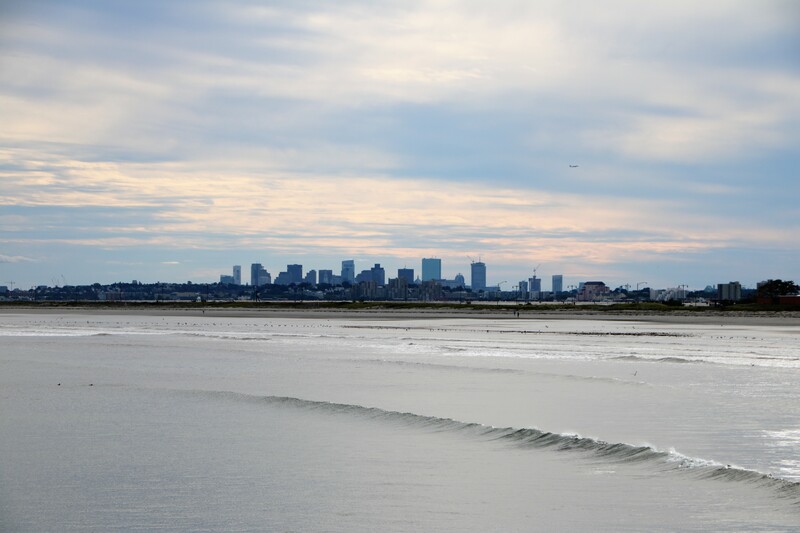 Boston was just across the water. The last RV park we stayed at was Normandy Farms Campground. It was an incredibly nice place with many, many amenities including an outdoor pool. We would definitely stay there again. It was in Foxboro – right down the street from Gillette Stadium where the New England Patriots play. We drove past it on the a Thursday night when they were playing the Indianapolis Colts. Of course the traffic was horrible but it incredible to see the open air stadium all lit up. Normandy Farms Campground was so nice and we had been to the Boston area several times in the past, so we were content to just to stick around there. We did go into Boston once. We drove to Riverside Station and took the subway. We walked a bit of the Freedom Trail. 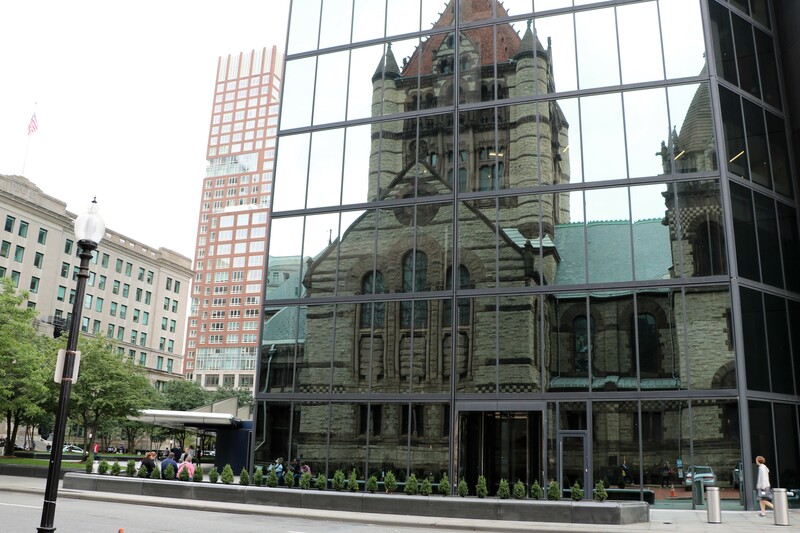 I couldn’t resist taking this photo of Trinity Church on St. James Avenue reflected in the windows of the John Hancock Tower. This little kiosk/gift shop is in Boston Commons and sells maps of the Freedom Trail. There are many points of interest along the Freedom Trail . One in particular was Cranary Burying Grounds which dates back to 1660 and where many famous Bostonians such as John Hancock and Samuel Adams are buried. This work is licensed under a Creative Commons Attribution 4.0 International License. Unless otherwise indicated, all photography and texts are property of the author. To use or share should only be done after being granted permission and with proper credit to the author.